That's a very interesting post, thanks CCKen! So on a 99 where is the normal return path for the spark? Yep,thanks for this, I have one in my 97 (NOv 97) , so it most likely will aid in the suppression. I had a read about the secondary ignition wires doing the same. 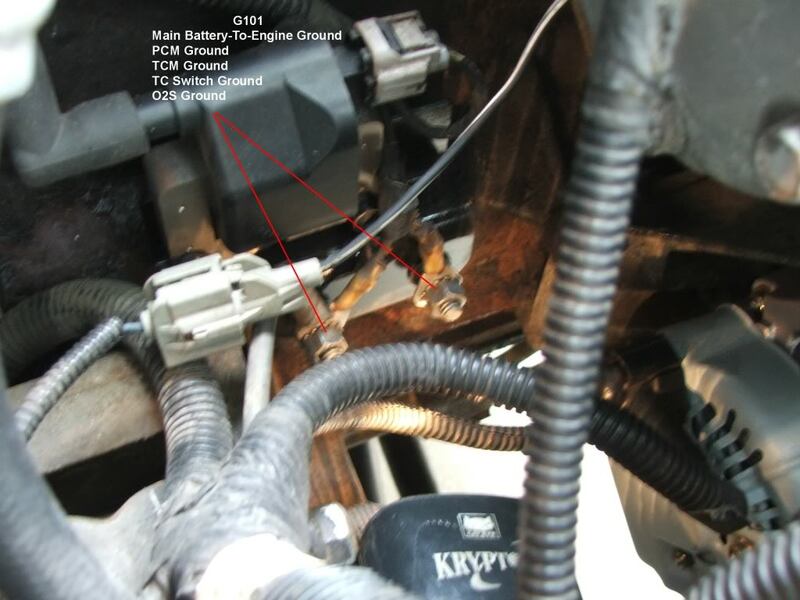 1990 and earlier, it provides the primary ground path for the chassis and ECU. 1991-up, it ties the engine block and chassis together to solidify the ground reference plane. In the first case, keeping it should be considered mandatory. In the second, it's highly recommended. Now, the primary ground you described, is that the one attached to the block near the oil dipstick, or is that another one? 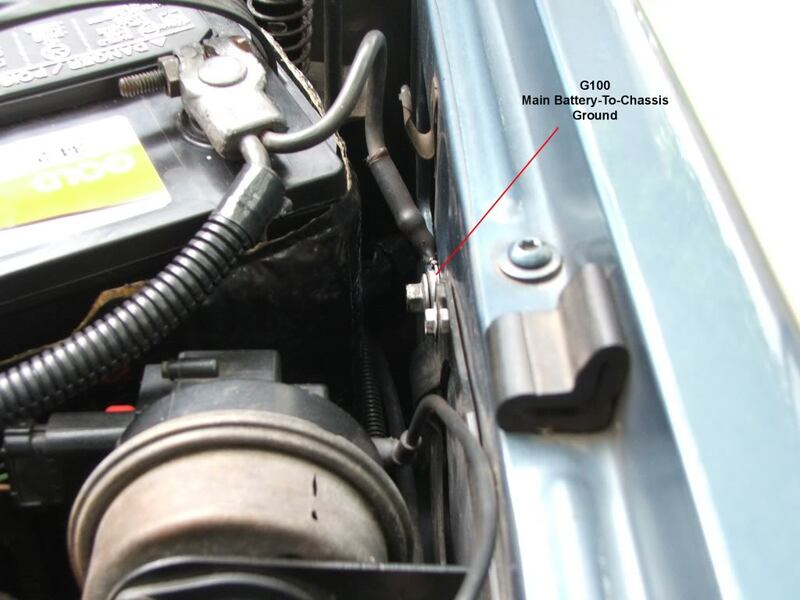 In the interest of furthering XJ knowledge, I took a series of photos of my '99 XJ engine bay to show the ground points. I added the FSM "G" designation to the ground points and listed the functions that ground at these points. 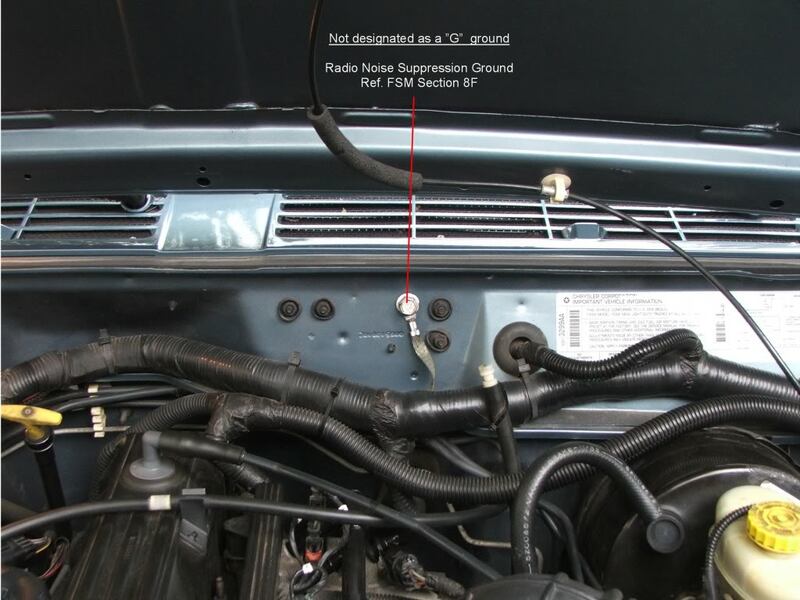 I wish I had access to pre-1997 XJ's so I could photograph the various engine bay grounds to round out this study. I have some pre-1997 XJ FSM wiring diagrams that describe the various grounds but they do not illustrate their physical location. I invite anyone with photos of their pre-97 engine bay grounds to post them so we could gather up a comprehensive document. G100, the main battery-to-cassis ground point. G101, the main battery-to engine ground point. G102, the ground point for the OBD II Data Link Connector grounds (two each). This ground point is often mistakenly referred to as the ground point for the PCM. 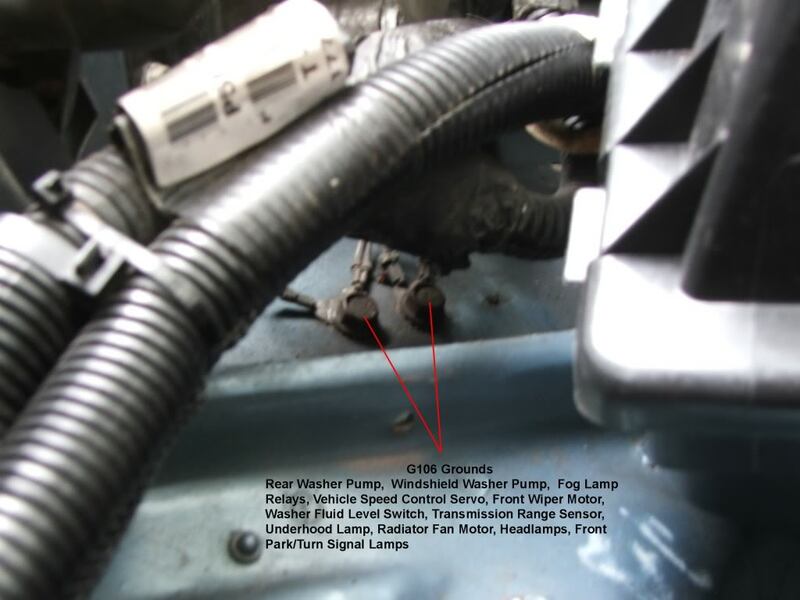 G106, is located under the wiring harness going to the PCM, and near the windshield washer reservoir fiiller port. Radio Interferance Suppression Ground Cable (Bonding Strap). This ground point is not described in Section 8W as a ground point. It has no "G" ground designation. Its only reference is in Section 8F of the FSM. Thats the cleanest enginebay I've seen in a long time, CC! Follow the cables from the battery, you'll find 'em. so 7 ground points in all? I'm going to give mine a cleaning. If I stick my multimeter probes on both ends of the ground strap and it comes out 0 ohms is that good enough? My radio has plenty of interference (some of it rises with revs) so I cleaned up the connections but I'm starting to wonder about the strap itself. 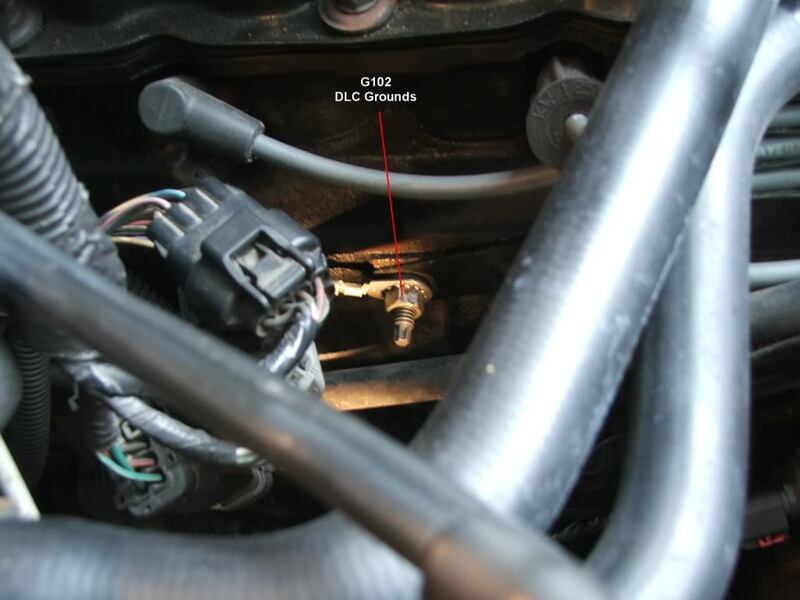 Add a copper cable from the firewall to a bolt on the intake manifold.